And for Polian, the upcoming holiday takes on a little more meaning. "I am honored to be part of this great trip," he said. 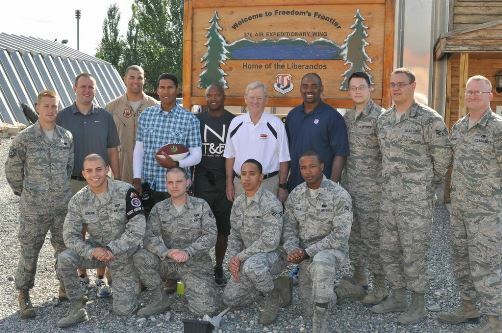 "I can't imagine a better place to be on July 4th than with our troops overseas."